Shane Burt, 21, has severe cerebral palsy. 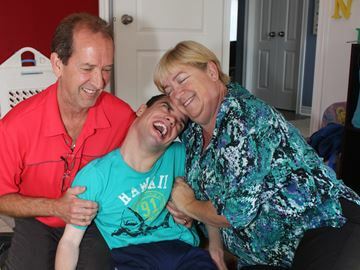 Right now, the Burts are fighting to get Shane back to school in the special needs class at Collingwood Collegiate Institute. So far, the doors remain closed. Shane is 21 years old, and graduated. Thus ends the Ministry of Education’s legislated responsibility to support Shane’s development.